They were fighting for Texas - fighting for the land they called home. For twelve long days the men, women and children inside an old mission known as The Alamo defended it against the soldiers who surrounded them. But President Santa Anna was just as determined to keep Texas part of Mexico, and vowed there would be no mercy for them. The Texans waited for a rescue in terms of men and supplies - but no help came. Finally, in the pre-dawn darkness of March 6, 1836, thousands of Mexican soldiers poured over the walls and the gruesome battle that followed proved to be a turning point in American history. This gripping story is told through the eyes of two real-life survivors of the siege and battle - eight-year-old Enrique Esparza and Susanna Dickinson. 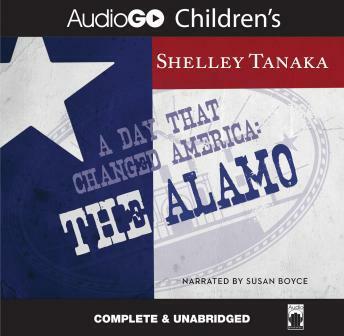 Learn the fascinating story behind that famous battle cry, "Remember the Alamo!" Recommended for Grades 4-6.